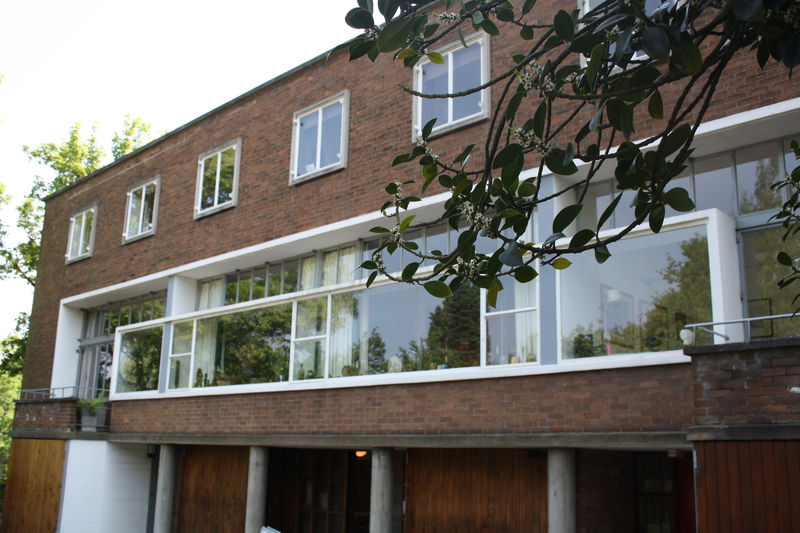 A good place to start this blog is with one of my favourite architectural sites in London: 2 Willow Road. London is not known for its modernist architecture, and there’s even less of it than you can actually enter (especially outside the confines of the Open House weekend), but Willow Road is a happy exception to this rule. 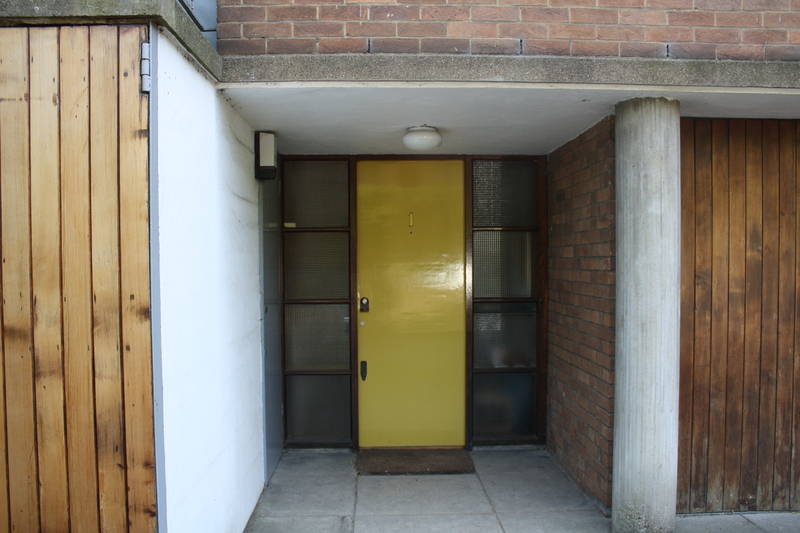 Located in leafy Hampstead, Willow Road was designed by Erno Goldfinger (of Trellick Tower fame) and completed in 1939. It has the strong, clean lines, concrete supporting columns and window walls we would expect of a modernist house of this era, although the brickwork was a concession to not straying too far out synch with the neighbours. Goldfinger had originally designed a block of flats for the site, but after this failed to receive planning permission, he scaled the design back to this group of three ‘terrace’ houses – the Goldfingers moved into number 2 (in the centre) with separate tenants to either side in 1 and 3. Much of the built-in furniture and door furniture was designed by Goldfinger himself. A strong feature of the house is the use of movable partitions between rooms, allowing space to be opened up or closed down when required. But life at number 2 wasn’t obsessively modern – when Goldfinger’s mother moved into the house later in her life she filled up her room with her ornate Austro-Hungarian furniture! The house was clearly designed as a place to live – it housed four generations of the family at one point – and also to work, featuring a studio (originally for Goldfinger’s wife) and study.